Laser - Pure Black, Inc.
Do you want to create something intricate and eye catching? Does your project involve precise and detailed design? Would you like to remove unwanted hair? Laser cutting and engraving is the way to go. 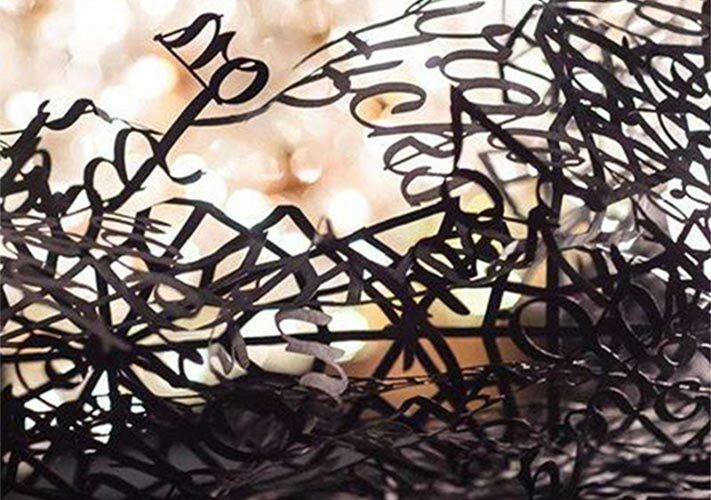 At Pure Black Inc. we have years of experience and expertise with laser cutting, encompassing varying levels of artistry and production techniques to create projects using a number of different materials. Scroll down for more details. We operate two 60 watt laser cutters with a maximum size of 36×24″ which function over a flat tray or honeycomb cutting table. 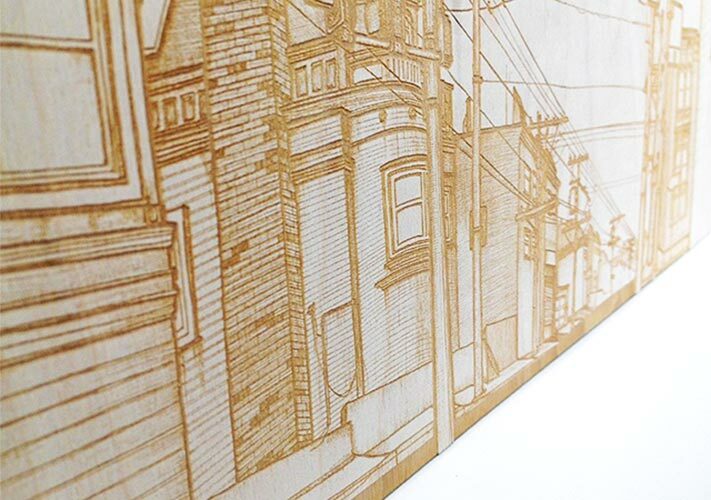 They use a combination of power and speed to perform their three major tasks of engraving, cutting and scoring down to an extraordinary level of detail. Cut and score lines must be comprised of vector paths, however the engraving functions can utilize both raster and vector elements. The focused beam of light becomes a condensed source of heat to perform all of it’s functions, and the end result is driven by the materials reaction to the heat. 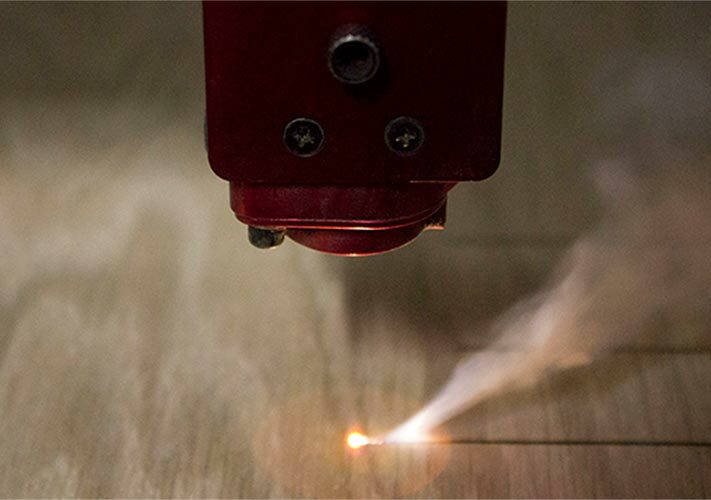 Generally the kerf for a laser cut can range from 2-20/1000″ depending on the thickness and density of the material. Please keep in mind that some materials may show signs of dispersed heat.